Many people are looking for smart career changes these days. With the economy unstable as it is, a lot of professionals are choosing to shift gears and move towards more profitable careers that will sustain them even through uncertain times. One of these professions is becoming an HVAC technician. In Connecticut, many schools offer associate and certificate degrees for prospective HVAC technician students. These degrees can be completed in about one to two years depending on the pacing of the student. It’s perfect for working students or those who don’t want to spend a lot of time and money on four-year courses at expensive universities. 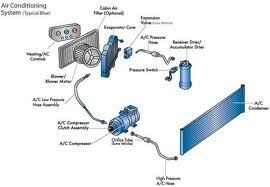 A typical HVAC training course will be divided into two segments: lecture hours and internship hours. On the job training is especially important in this field because it allows the student to get a feel of the job in the real world, while making important connections that will be mutually beneficial to both employer and the student after he or she graduates. Classroom hours on the other hand, are devoted to lectures that tackle all the basics of HVAC, from installation, maintenance, repair and troubleshooting. It is important for students enrolling in this course to have a good background in mathematics and the sciences because blueprint-reading and manual-reading are two other essential subjects that will help equip students with the necessary skills to succeed. With two locations to choose from for utmost accessibility, Porter and Chester is one of the top choices for HVAC training in CT. State-of-the-art facilities, esteemed faculty and an attractive campus have made this campus the great institute it is. Baran Institute takes pride in its roster of faculty members who are dedicated and experienced. They offer HVAC certificate courses at this campus. 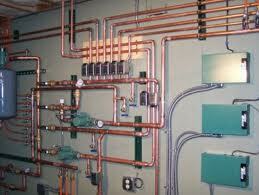 With a good reputation and high success rate, students who are interested in HVAC training cannot go wrong here.